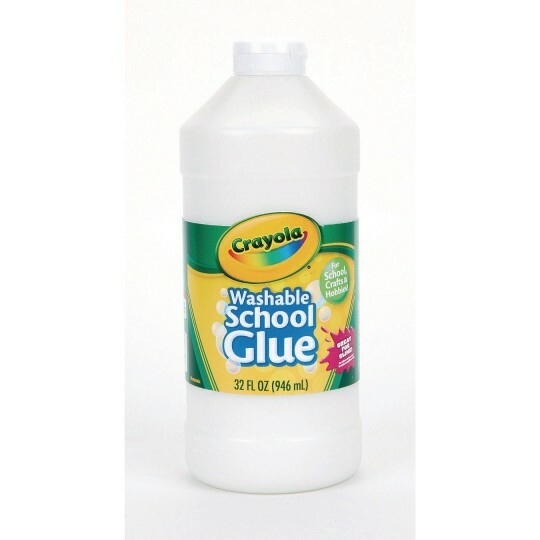 Crayola® Washable School Glue in this convenient 32 oz. size is a safe all-purpose glue that’s perfect for school, camp, and group arts & crafts projects. Great on paper, fabric and cardboard, it can even be used on wood and ceramics. Features a special dispenser cap and no-run formula, which means the glue stays where you put it. The washable, non-toxic formula dries clear and does not crack. Perfect for making slime! Washes from skin and clothing. AP non-toxic. 32oz. bottle.